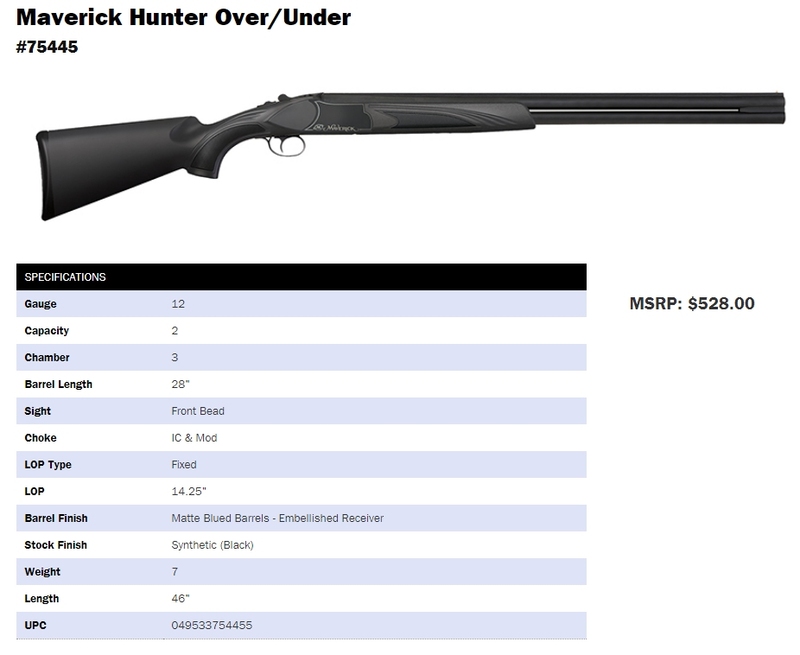 Description Mossberg Maverick Field Hunter 12 Ga. features a 28″ vent rib barrel, black synthetic stock, and a matte finish. Also includes bead sight and improved cylinder and modified choke tubes. Maverick Arms Model Hunter O/U 12 ga: interchanges with Trulock’s Beretta/Benelli style chokes for more options!